Lost in the woods for what felt like decades, he emerged expecting to be a butterfly. With all the tales he had been told when he was a child about a wide-eyed adventurer plunging into the forest with only bravery and coming out a new person, he emerged into the open field of dead grass. It seemed his fables had failed him. He shouted to the heavens, "I have struggled for so many years! Overcome so many trials and tribulations! Fought to keep myself alive..." His voice echoed through the forest. He began to cry tears full of anger interwoven with despair while he waited for the butterfly wings promised to him in his fables. As his tears subsided, he murmured to the forest, "then I have truly failed." Tired and full of self pity, he lay on the dead grass, ignoring the tiny sprinkles of mist which collected in his beard and mustache. A thick fog began to rush though the forest like a phantasm, engulfing it entirely like a down blanket. It spread across the sky and the temperature dropped incredibly quickly, limiting his vision. As he reached into his pack to get his camping jacket, his small reflective mirror fell out and cracked on a rock. "Why!" he yelled again with a sense of renewed passion. As he leaned over to pick it up, he saw himself, after all of these months on his journey. Shattered glass projects shattered images; this wasn't the case for him. He only vaguely saw the person who first set out on the journey; he was a young, inexperienced teenager, who decided he wanted to have an adventure. It wasn't his beard or his long matted hair, it was the inner strength he saw. He had developed a type of resolve which that boy could have never understood or believed he had inside. A tear welled up in his eye. While he might have not grown butterfly wings, he had become something more than what was promised to him in his fables. That broken image now reflected a full picture of who he had become. Lost in the woods for what felt like decades, he emerged expecting to be a butterfly, but instead came out a man. The First Miracle is that the universe exists. Second, is that there’s consciousness. Third that there is self-reflective, self-referring awareness. Fourth, that there is cosmic or transcendental consciousness. Talked with Glenn about silence. We came to an understanding that there is a tone, a basic tone that we can tune to. As the moments of silence came, I saw the mind weave in and out of silence for a period of time. That was good enough. Yes, good enough. Listen ever so deeply with your whole being. Anything less is a waste of time. But don't listen to me. 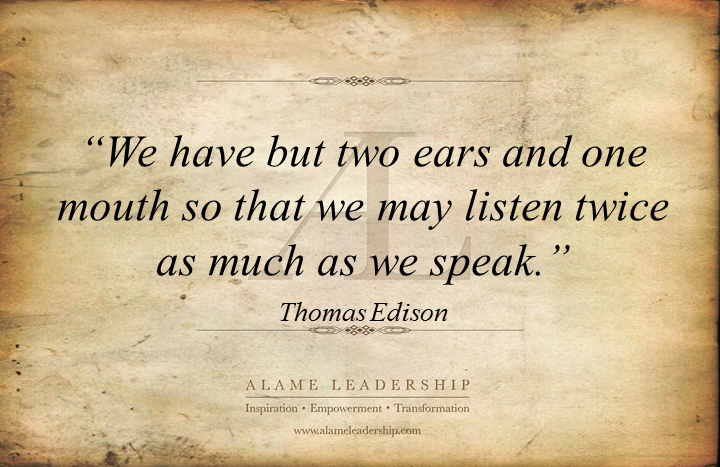 Listen to what's inside you. You and I are constantly constructing a sense of the world. It's quite possible that what is called "one's world" is not that same as reality. So look deeply. Perhaps, you (and I) can get a glimpse of what's real beyond "my world" or even "our world". That would be true science, true wisdom. LIFE IS NOT ALWAYS a straight path. We go forward and back off. Often I would try to make a speech in front of class. I would feel extremely nervous before beginning the talk. I wanted to be “relaxed”. Eventually discovering that being nervous was a positive sign - it meant that the energy was there for a good talk. I started to tell myself, “Just get started and you will feel better after you forget yourself”. So true! Just get started. To "be there" fully and simply is the greatest power. I didn't think I would hear anything profound on a Netflix show about a superhero. I had to transcribe it because it isn't even online. Just goes to show you that wisdom hides everywhere. "You get what you deserve"
It's an old saying, one that survived the years because it's true for the most part, but not for everyone. Some get more than they deserve because they believe they aren't like everyone else. That the rules, the ones people, like me and you, the people that work and struggle to live our lives, just live, don’t apply to them. That they can do anything and live happily ever after while the rest of us suffer. They do this from the shadows. Shadows that we cast with our indifference, with a pervasive lack of interest in anything that doesn’t directly affect us, we, in the here and now. Maybe its just the shadow of weariness, of how tired we are, struggling to claw our way back to a middle class that no longer exists because of those who take more than they deserve. They keep taking until all that’s left for the rest of us is a memory of how it used to be before the corporations and the bottom line decided we didn’t matter anymore, but we do, you and I, the people of this city, we still matter. The roots for the word “philosophy” simply mean “the love of wisdom”. I fell in love with philosophy while taking a Great Books course in high school. We used a wonderful book of readings titled Preface to Philosophy: Book of Readings. All the great philosophers were there and many other great thinkers, poets and general writers. All the great ideas seemed to be there. Everyone so wise. My mind and vision expanded to new limits. It was wonderful. Thereafter, I wanted become one of “those” writers or thinkers. I wanted to see, feel, and breathe in reality! Still points are marked by the absence of mental chatter. Suddenly the ears are softly ringing with the white noise of air molecules beating against the ear drums. A silence comes; and an infinite sense of visual space without content opens up. It speaks for itself. 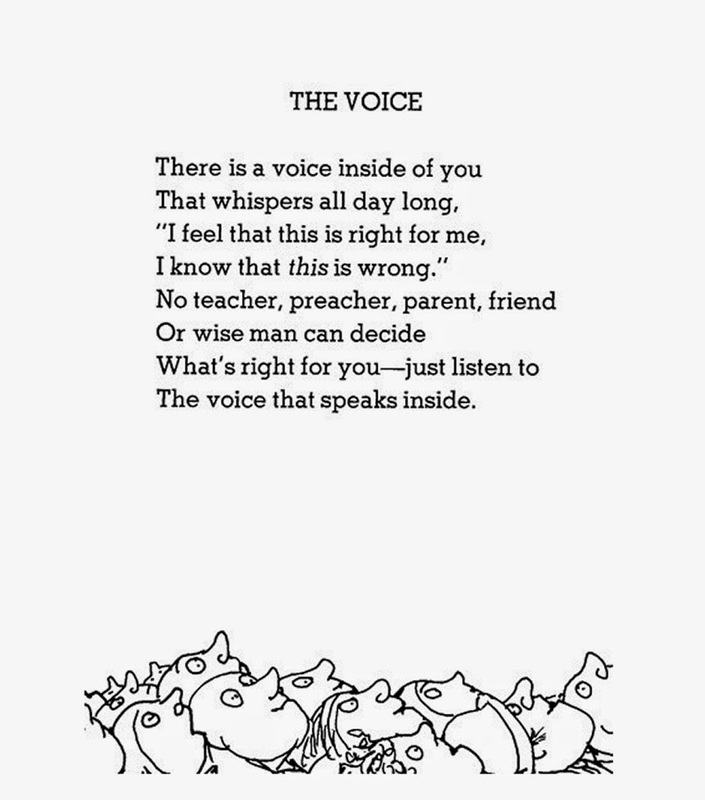 From the book "Falling Up" by Shel Silverstein. Don't expect "perfection" from your teachers and rock stars. Allow yourselves to relax enough so that you too can write, draw, play a musical instrument and sing. Even Buddha and Jesus did things disapproved of by friends and others. Their "imperfections" were part of their wisdom. The sound at the end of sound is silence; so much is said without saying a word. WHO am I today? Who was I yesterday? Who will I be tomorrow? This little self, always changing. A bundle of feelings, thoughts, perceptions constantly looping back on itself. I tried to do this on my own. Why then am I left in the dark? As we age, it becomes harder to cry. 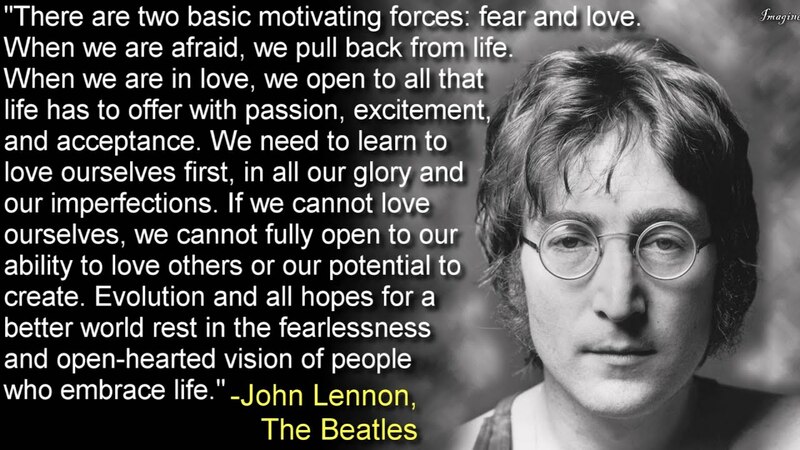 The vulnerability we experience can be too frightening to reveal to ourselves let alone others. Instead, our subconscious mind reads the writing on our heart and we become heavy. Whether we notice it or not, our breath begins to weigh us down. It starts with the heavy sigh and if left unresolved, a broken breath surfaces. We've all experienced this breath after crying and now it is trapped inside. It's only when we notice where that weight comes from can we face it and return our breath to normal. Breath easy today knowing that freedom is only a breath away. who live in the present."